After all of this–the legs still haven’t given out yet. Many miles I run, which shortens after so many years. 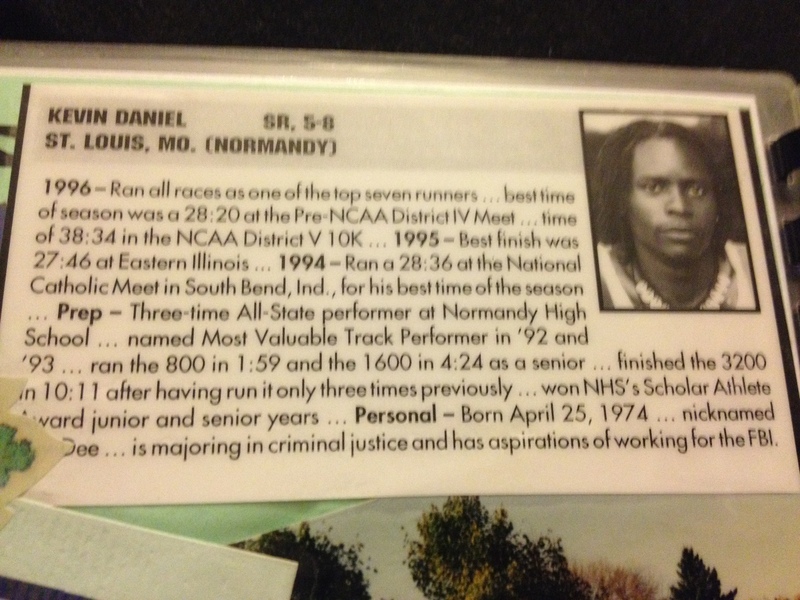 I remember somewhat clearing; about 20 years ago I ran a race in high school that I will never forget. I sprung up and ran back onto the track; running my hardest to the end of the race. I finish in dead last and walked off defeated. That time I spoke that out loud in which my friend heard me. He didn’t say anything but knew what I meant and gave me a look. Nothing needed to be said; it was always spoken already. That was my junior year in high school; a year after being all-state the previous year and I held on to my vowed. I made all state again that year and the year after. Finishing as the top 13th runner in the state of Missouri that year in the 1600 Meter run. I can say one thing at least I didn’t quit. I didn’t quit on myself. Every moment is defined by an action or non-action, the thin-line of a competitor or a chicken. I was just a little of both.. I love reading your words, they always somehow seem to leave me on the edge of my seat waiting for more and more simplistic, complex thoughts to spill out of that masterful and talented brain of yours……if writers had groupies I would most assured be yours so for now Ill say Im an eternal fan. Aww. That’s one of the most beautiful things anyone has ever said to me. Always great getting g honored by a sweet friend like you. Oh? Everyone the beautiful one I’m responding to is Shea Brown in my About post. A great poet from the Midwest.